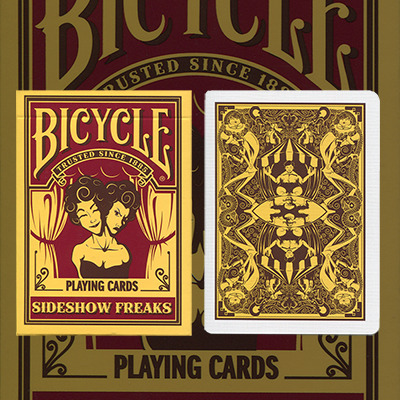 Introducing the Sideshow Freaks Deck! This beautiful deck features classic sideshow characters like contortionists, fire-breathers, the bearded lady, and more, with several hidden gems in the intricate back design. These double ended back and face cards will be a great addition to your next card night.